In Upstate New York, we’re pretty used to the snowfall. So, when we suggest putting large stakes around your driveway and other walkways, you should use that advice. It’s helpful whether you hire a snowplow company, shovel yourself or use a snow blower. While you may think you’ll know exactly where your driveway is, it’s not as easy to locate with a couple of feet of snow. Shoveling snow during the winter is annoying as it is. If you don’t have a quality shovel to work with, you’re just making it harder on yourself and your back. While it might be tempting to buy a cheap shovel when you’re making your decision, it’s wiser to not be a penny-pincher. Spend more money on a heavy plastic or aluminum blade shovel that will get the job done easier. Also, be mindful that large shovels aren’t always the best. Large shovels can cause back pain and arm stiffness. If you’re looking to find a shovel for heavy snowfalls, you should buy a s-blade shovel. C-blade shovels are better for lighter snowfalls. This is a mistake that a lot of homeowners simply don’t consider when they’re removing snow. Whether they’re removing snow from a roof, from a deck, or from the driveway, you should avoid piling snow next to the side of your house. 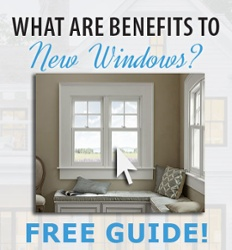 This will only lead to issues such as frozen pipes and even potentially cause cracks in your home’s foundation. Shoveling snow can be a grueling activity, especially as you get older. If you don’t plan to hire a snow removal service, then it’s best that you follow these safety tips. Keep the blade close to you as you lift the snow. 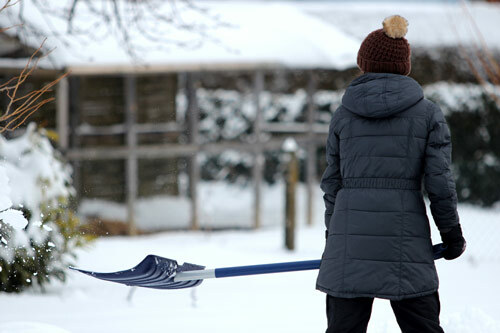 Switch between shoveling left-handed and right-handed to avoid overstraining one side of the body. Periodically switch your grip between overhand and underhand. When the snowfall is heavy, don’t try to clear the entire depth at once; only do half at one time. Whenever you’re removing snow, the reality is that it needs to be done frequently. The snow doesn’t seem to stop, but if you do you just make your job harder the next day. If you leave removing snow until the next day, the snow will start to stick to ground and might even freeze. This makes your job ten times harder. If you’re just done with shoveling snow in the winter, invest in a snow blower. Snow blowers can take away a lot of the tedious parts of removing snow in the winter, but you’ll still need a shovel for your deck. While it’s a faster method of removing snow, it’s also a more expensive option as snow blowers can cost up to $500. If you have a flat roof that is easily accessible, you can shovel your roof, but it’s important that you don’t damage your roof covering. Also, you should always consider your own personal safety before attempting to shovel your roof. It may be possible to remove snow and ice from a sloped roof using a roof rake, which is a long-handled tool that is specifically designed for this reason. There are a bunch of different options you can use to eliminate a slippery driveway and even a walkway such as salt (sodium chloride), calcium chloride, calcium magnesium acetate, and urea. Learning about the potential consequences of using each form of ice melt is important because these items can end up damaging plants, damaging flooring in your house, or harm your pets. Snow storms and colder temperatures always seem to be on the horizon, but being prepared and following the guidelines above will make snow removal easier so that you can protect and preserve your home. Stock up on everything you need to battle the winter weather at at GNH Lumber! And be sure to check our WEB SALE page often this season for savings on common winter items.